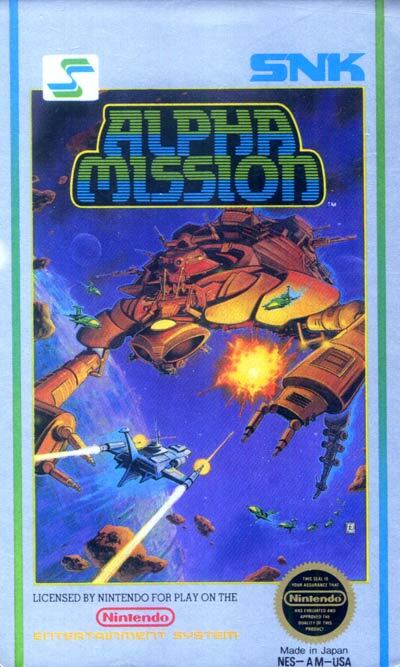 Alpha Mission, which supports up to one player, is very similar to Xevious, as it is a scrolling shooter with segregated weapons. Missiles are used to destroy ground enemies, while laser-like weapons are used for aerial opponents. Throughout each of the levels, the player must fight off waves of enemies that threaten several space stations and a boss must be defeated at the end of each. Like most early games in this genre, when the player dies, all weapons are lost and the player is moved to a point slightly before the point of death. The player's craft can also be upgraded to have more powerful weapons by picking up various power-ups throughout the level.